Every year, we embrace a moment of silence for those who have died serving our great country. 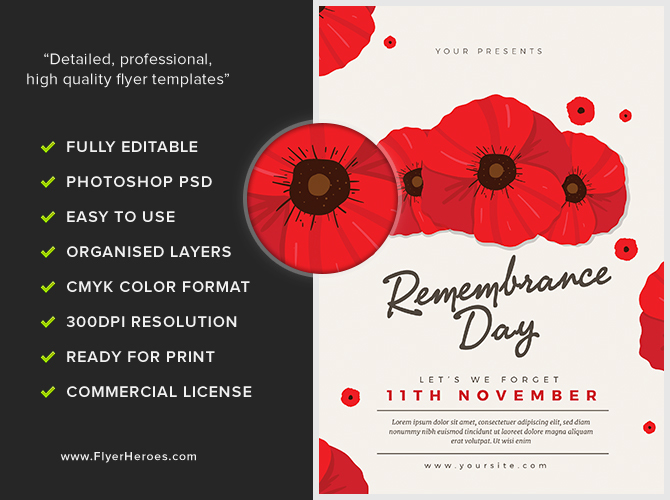 Our war veterans deserve the absolute best we can give them, so if you’re throwing a Remembrance Day fundraiser or memorial, make sure you honor our veterans by making this event the best it can be with the Remembrance Day 2017 Flyer Template from FlyerHeroes! Three red poppies capture the viewer’s attention. The poppy is an undeniable symbol of strength and courage. 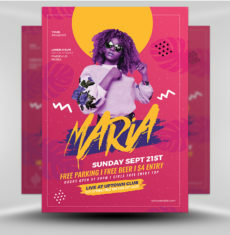 Once the viewer’s eye is on this flyer, the clash of colors with the red and white, along with an expert use of negative space and stunning design keep the viewer wanting more. 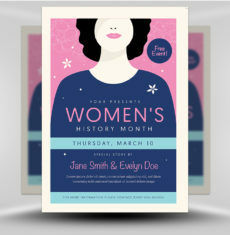 Their eye is then drawn to the sophisticated typography. Smooth lines and edges create a soft, gentle feel. You can also customize this text to your liking! 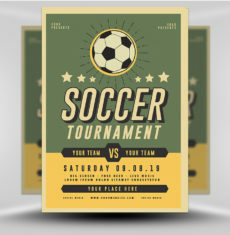 Add in all the details of your event to guarantee success. Re-arrange the layers to suit your own personality and flair. 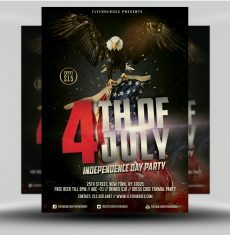 Making this flyer your own is quick and easy! 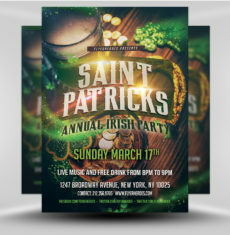 And completed with high-quality images, this flyer stands out from the crowd with a high-resolution final product. 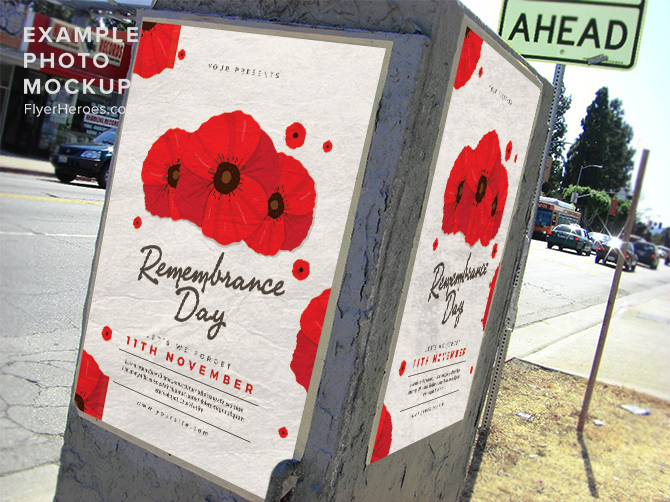 This year, when you host a Remembrance Day event, honor those who served by letting the whole community know of your upcoming event. 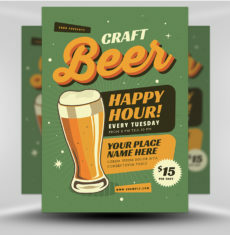 You need options when it comes to marketing. 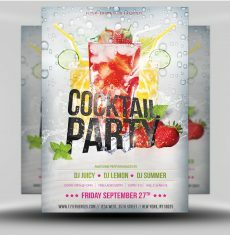 People need to see multiple messages about your event to avoid repetition. 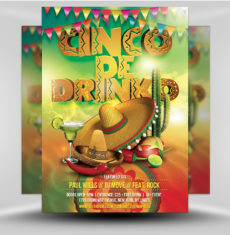 A successful marketing campaign means versatility! 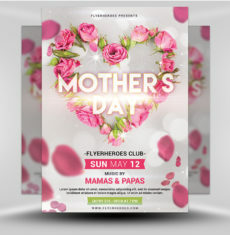 Look through our incredible selection and pair multiple flyers together. 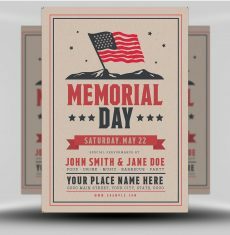 The Veterans Day Remembrance Celebration Flyer Template is all about the red white and blue. 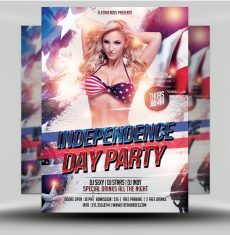 The Veterans Day Flyer Template is also available now! 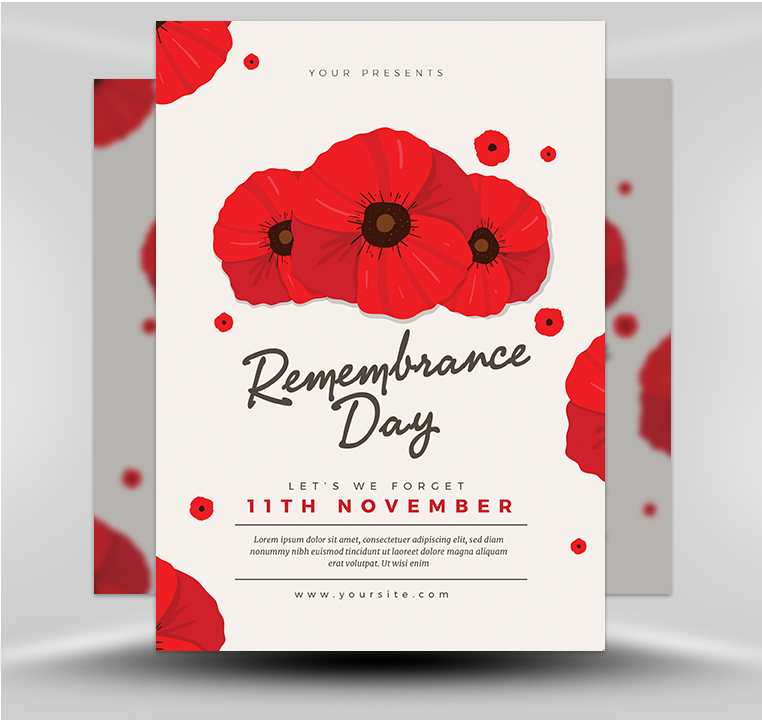 The Remembrance Day 2017 Flyer Template will honor those who served and make your event a success! 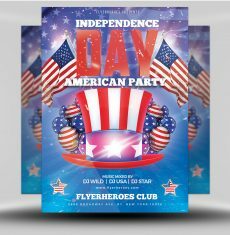 Get yours today from the pros at FlyerHeroes! 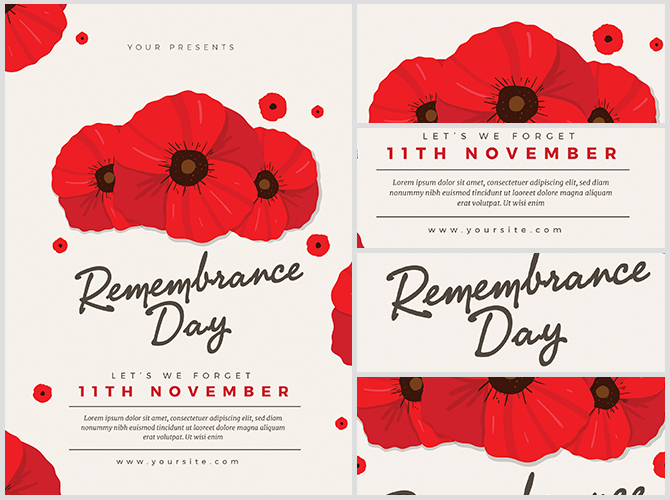 The Remembrance Day 2017 Flyer Template is a premium Photoshop PSD flyer / poster template designed by FlyerHeroes to be used with Photoshop CS4 and higher.